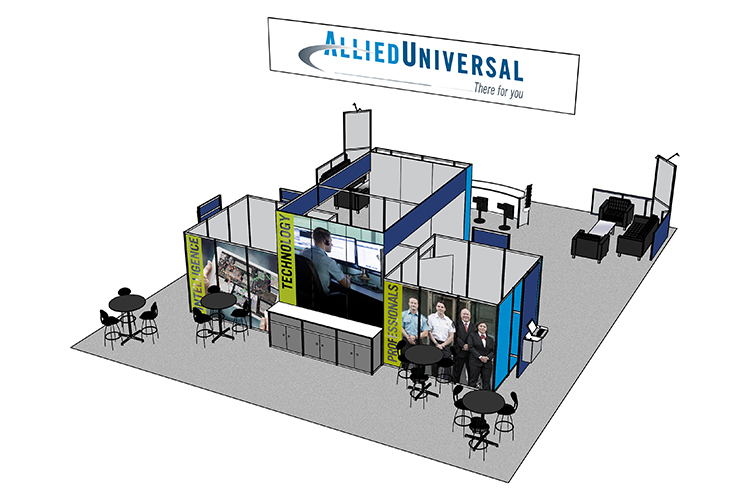 Allied Universal is both a Fortune 1000 and the largest private security services company in North America, as well as TWIO’s long-time client of over a decade. During the years, TWIO has supported multiple brand evolutions, strategic research projects, website redesigns, online application development, event planning and exaction, among many other projects. 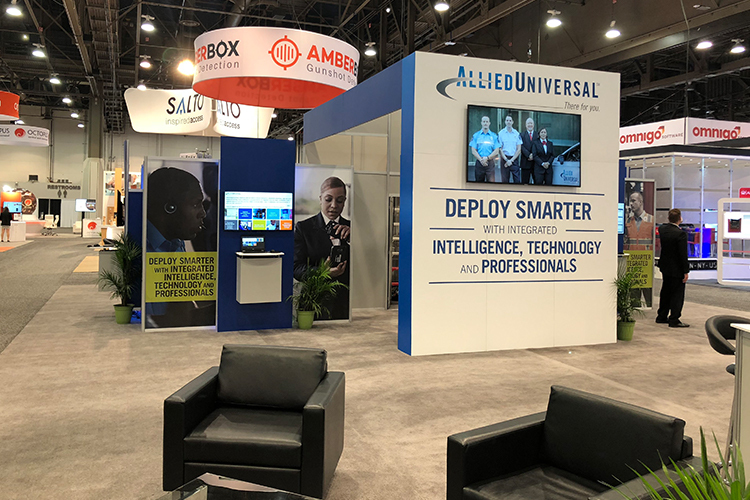 In 2018, the company downsized its marketing department that was responsible for organizing the booth, activations and media for the largest security trade show of the year, ASIS/GSX. 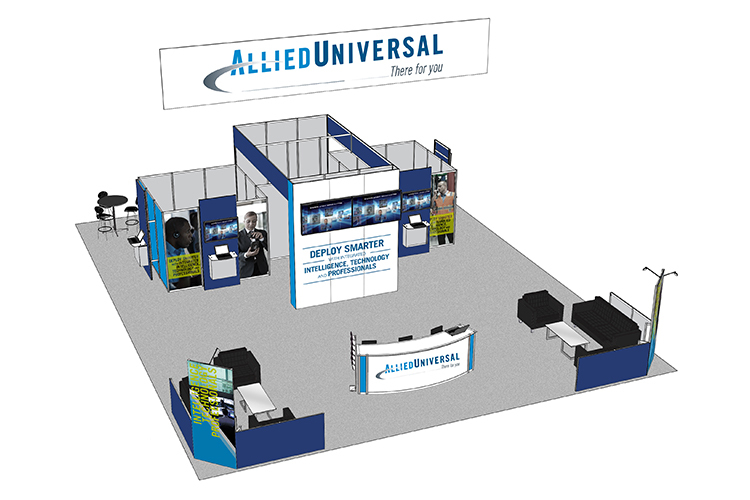 Allied Universal needed help from TWIO because the event was just 6 weeks away. 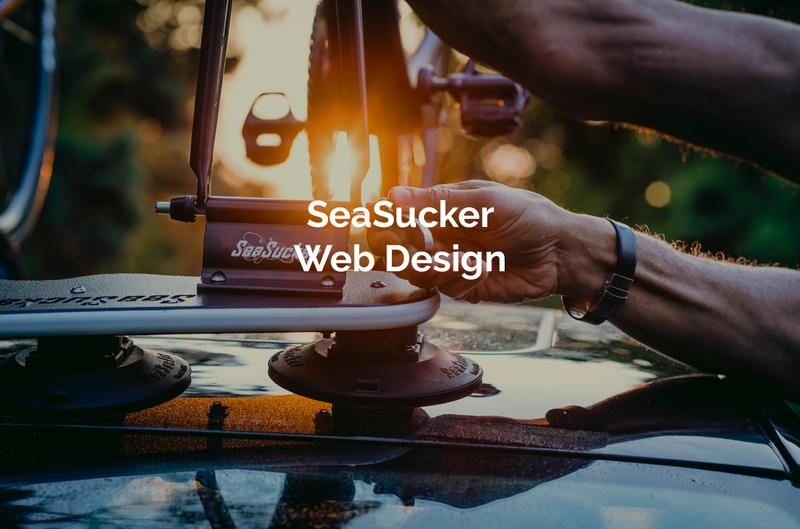 On top of that, the budget to pull it off was rather small in proportion to the client’s needs. TWIO was tasked with two primary deliverables – 1. Booth design and procurement 2. On-site activation through video and presentations. 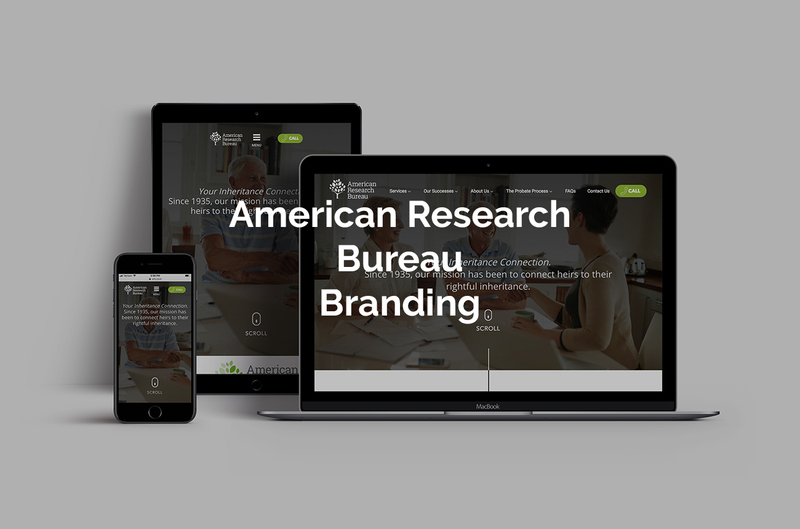 With such a quick turnaround, our content and design team had to work fast and efficiently. Creative got to work on a Sketch Up design of the booth that was quickly approved. TWIO then worked closely with the Booth Manufacturer on production. The on-site activation included a video that needed to be scripted, edited and looped during the three-day show. Along with that, an interactive presentation showcasing the company’s high-tech products had to be architected to support the on-site sales team. 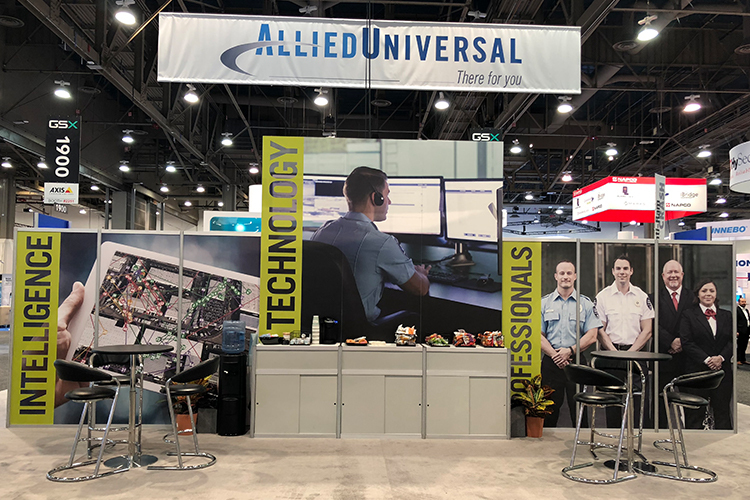 The result was a solid, on-brand, effective trade show booth that came in on-budget and delivered results that punched well above its fighting weight. Also spending 1/9th of your Tier 1 Security Competitors made both the C-suite and Equity investors pretty happy. 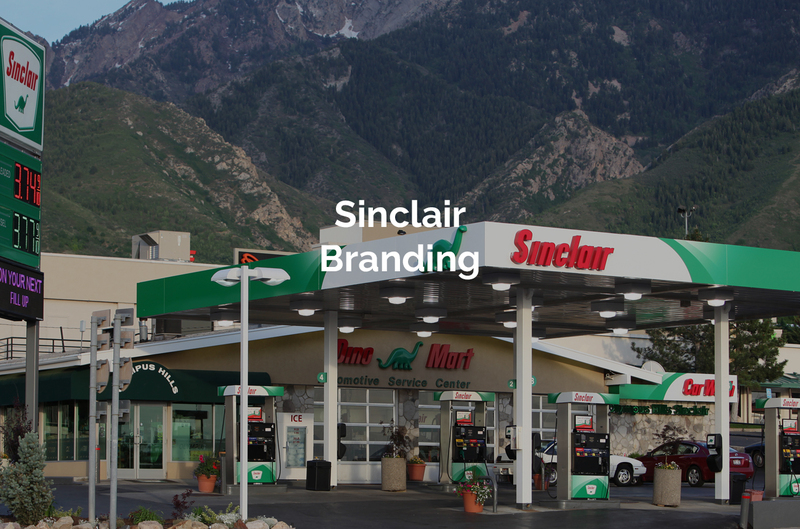 The sales team never had a moment of down time, customer and prospects were engaged by the video and presentations and senior leadership had a presence they were proud of. 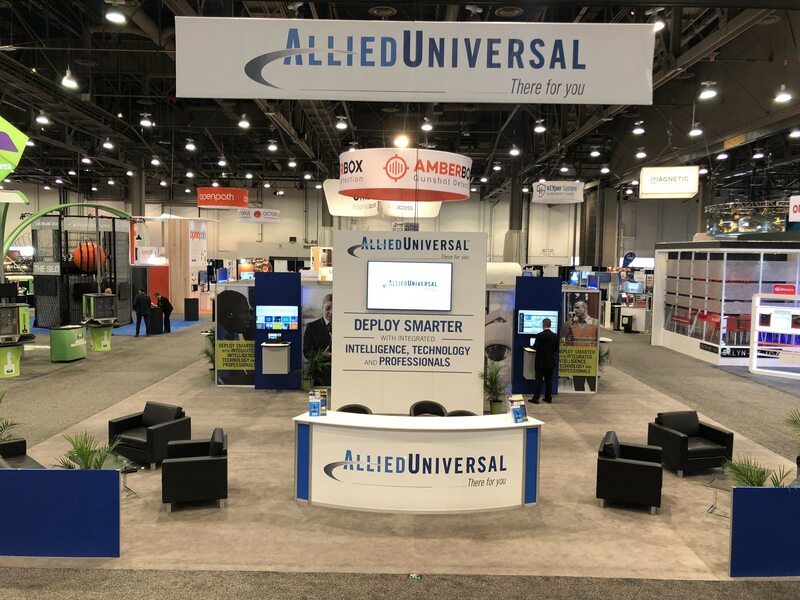 The Allied Universal ASIS / GSX booth demonstrated TWIO’s commitment to working in a pragmatic business climate that demands responsiveness, thinking-fast-on-your-feet, and true collaboration to get the job done well.